Omnibus 119 arrived the evening of January 17th; a fresh cohort for the TEFL program!! We will have 37 new TEFLeros!! An on-line platform, to be fully implemented for Omni 120, also helps the flow of information BEFORE staging….in turn helping to manage realistic expectations. The Close of Service (COS) conference for 115 is just around the corner, starting February 7th. Teaching English as a Foreign Language (TEFL) is Peace Corps-Ecuador’s largest program, with 61 Volunteers currently serving in public schools throughout Ecuador. In 2017, the TEFL program continued to work closely with the Ministry of Education through the service of over 85 TEFL Volunteers. The Ministry of Education considers Peace Corps as a strategic partner that has helped the Ministry advance toward its goal of improving the teaching and learning of English in Ecuador. The TEFL program has provided Ministry schools with trained TEFL Volunteers who work with English teachers and students, and the program has also provided teacher training through Volunteer-led regional workshops for English teachers from schools that have not been assigned TEFL Volunteers. Additionally, the TEFL program has partnered with the Municipality of Quito to provide TEFL Volunteers to municipal schools and programs, reaching additional English teachers and students in the greater Quito area. TEFL Volunteers work with English teachers in co-planning and co-teaching, offering new techniques for teaching language skills and setting up communities of practice where their teachers can share valuable information and experience directly with each other. Additionally many TEFL Volunteers start English clubs for the students that are most interested in improving their proficiency, where they may discuss and plan activities around American holidays and traditions, world cultures, and more. After the April 2016 earthquake, Peace Corps-Ecuador was forced to cancel a Community Health and Youth and Families Development training class (what would have been Omnibus 116). Unfortunately, that meant that Volunteer numbers for the Community Health and Youth and Families Development programs dropped to levels lower than expected during 2016 and early 2017, but 2017 was the start of a rebuilding process for both programs. Omnibus 118 arrived in Ecuador in May with 24 Community Health Trainees and 23 Youth and Families Development Trainees, including a few that were re-assigned from a canceled Peru training class following extreme rains and flooding. With the training class arriving in May of this year (what will be Omnibus 120), these programs will finally be back to full strength, but despite the lower than normal Volunteer numbers, both programs have continued to move forward and make impressive accomplishments in their respective areas. While the Community Health program finished 2017 with only 24 Volunteers, the accomplishments of those 24 Volunteers along with others who COS’d at different points in the year are notable. Community Health Volunteers worked with counterparts from Local Governments, NGOs, and the Ministry of Health, to develop health profiles of their host communities and to design diverse strategies to help improve the health and well-being of community members and help them overcome common health challenges, such as high teen pregnancy rates, HIV transmission, malnutrition, and lack of hygiene habits. Additionally, the CH program has trained Volunteers and Counterparts with successful methodologies as Grassroot Soccer, Keyhole Gardens, and My Plate, and also a variety of sexual education curriculums to be fully prepared to work in their sites. During 2017, Community Health Volunteers and counterparts educated over 1100 individuals on the principals of a balanced nutrition, over 1400 individuals on sexual and reproductive health, over 2200 individuals on the importance of the HIV test, and over 3400 individuals on the prevention of HIV. The Youth and Families Development program also ended 2017 with 24 Volunteers, but the Youth and Families program maintained a high level of impact throughout the year. The program continues to be closely aligned with Ecuadorian national development priorities, giving Youth and Families Volunteers the opportunity to make a positive impact in the lives of children, youth, and families in their host communities, and in spite of lower than expected numbers, Youth and Families Volunteers still met many of the targets in their project framework. Volunteers reported having meaningful work in the four programmatic goals, but results for 2017 were strongest in the goals related to asset-based development with youth and building skills for the world of work with youth. Youth and Families Volunteers are working with youth to help them develop life skills and leadership; training youth and counterparts in substance abuse prevention and alternatives to risky behaviors, including art and sports clubs; supporting youth in developing employability skills, vocational skills, and a habit of saving and investment in the community through community banks; and helping youth to engage in their communities through service-learning activities and mentorship programs. Youth and Families Volunteers are also working with parents through parenting skills workshops (“Escuela para Padres”) and with service providers through the co-design and co-facilitation of positive activities for youth. 8 Comments on "A greeting from Country Director Michael Donald"
I was a PC. Iin Ecuador 1 Group, 1962-64! We worked in Community Development in Manta. This past spring, 2017, I returned to visit with my son and grand daughter, and had the opportunity to also meet Michael Donald and some of the staff in Quito. A. very special experience, 55 years after we first became PCVs! Rhoda, It was an honor having your son Ricardo as a PCV serving in Ecuador, while I was Deputy Director there in the early 1980s. He did a great job, and was an inspiration to many other PCVs. If I’m not mistaken, he was the first “second generation” PCV to serve. My best to you and your family. Michael, Thanks for this informative update on the program in Ecuador. Great to hear how well things are going, despite all the political craziness in both countries. Hello Micheal, Thanks so much for this wonderful letter! How did you happen to see it? What a nice coincidence! I see Rico,often as he lives only 10miles away. So I will share your note with him! He is doing well. Now I his late 50’s, he works for customs immigration and border control. Where are you located now, and what are you up to? Cheers, RHODA p.s. did you know that I have an eBook out? The Barrios of Manta as eBook. Which includes all original book plus an update to cover years since then! Can find it on google snd amazon. I served as a PC Volunteer from 1975-77 in the small town of Cahuasqui the first year and In Ibarra the second year — both in the province of Imbabura in the area of applied nutrition. I have returned to Ecuador many times, the most recent being August of 2017, where I had the opportunity to meet with the Administrator at the Hoospital in Vilcabamba. I have communicated with the Peace Corps/Ecuador Community Health Program Director on that meeting and their needs so hopefully, Peace Corps will be able to assign a Volunteer in Community Health to that locale, once all application materials are completed. I am looking forward to a 2018 summertime visit to Ecuador for 2-3 months this year and plan to get in touuch with Peace Corps. Thanks for that update from the Director. Thanks for the great update on current programs and volunteers, Michael. As former volunteers (I was part of Ecuador 6 in 63-65), we’d like current volunteers to know of the Friends of Ecuador small grant program and hope some will become active in our group upon return. The fond memories of the people and the beauty of the country do not fade with time. 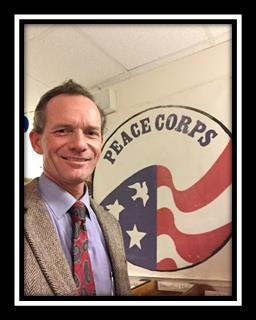 Hola, My name is John O’Neill and I was a Peace Corps Volunteer in Riobamba, Ecuador from 1981 – 1983. I was in the business development program and was assigned to La Camara de Pequena Industrias de Chimborazo. I was in Omnibus 37. Last weekend I attended a Peace Corps reunion in Ventura, California. There were 11 of us that all served in Ecuador in the early ‘80s. Everyone brought pictures and their favorite stories. For three days, it was like going back in time. It was a blast. I am living in Austin, Texas and retired a couple years ago. My wife and I love to travel (although she still works). We have four grandkids and love spending time with them. I am trying to form a reunion of Omnibus 37. Does anyone have a suggestion on how I can get all the names and contact information for my group?